Are There Any Risks in Psychic Surgery? Putting aside arguments of the legitimacy of psychic surgery, the question remains: Are there any risks in psychic surgery? Yes, there can be risks. Before deciding to have psychic surgery, you should consider possible risks. A psychic surgeon is believed capable of treating any type of disease. Psychic surgeons are said to channel spirit guides who perform the actual surgery. The spirit surgeon is believed to tune the patient's body energies to restore health. This process includes removing energy blockages as well as removing diseased tissues. Some of these spirit healers advertise they possess the ability to melt tumors, cysts and other growths. The spirit surgeon often claims to use various spiritual instruments and tools invisible to humans to expel the diseased tissues out of the body by bringing them to the surface of the skin. The expelled tissues are usually accompanied by blood, but according to these claims the skin is never broken, and no incision is ever made. The psychic healer scoops up the diseased tissue from the skin surface and discards it into a bowl. The blood is then wiped from the patient's skin, revealing no marks or cuts. The person may be advised to undergo more than one surgery before they are pronounced healed. Do Psychic Surgery Risks Exist? According to Patrick, a tour organizer for one of the most famous Philippine psychic surgeons, Laurence Cacteng, there are no risks involved with the actual surgery. Patrick states on Therapies.com website that an authentic psychic surgeon only needs to spend a few minutes operating on a patient. The patient is able to get up from the table and walk away. It may require three days for the patient to feel better since the body needs time to adjust to the procedure. Testimonies by people who've undergone psychic surgery state the biggest risk they endured was suffering from pain during the procedure. For some, the pain was almost unbearable. Sharing her experience with Daily Mail, Cheryl Buckley, suffered from osteoarthritis and needed a double-knee replacement surgery. Instead, she visited UK's psychic surgeon Ray Brown, who claims to channel St Paul. Cheryl explained that Ray said he'd inserted psychic gel to replace her worn knee cartilages. Cheryl explained after the visit her knees felt odd and crackled like the sound of popping bubble wrap. According to Cheryl, the psychic surgery was very painful. Sometime later, another set of knee X-rays revealed she didn't need knee replacement surgery. She stated she no longer takes pain medication. There is an obvious danger to any person seeking psychic surgery instead of traditional medical help. Chronic illnesses left untreated can become debilitating, and in certain instances can prove deadly. 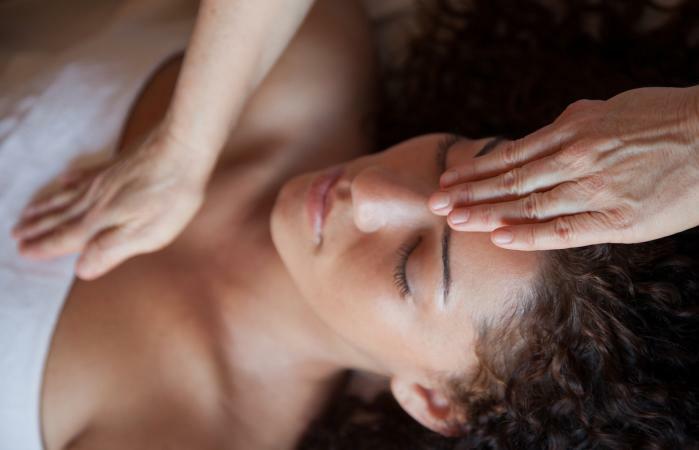 Many people who seek psychic surgery do so as a last resort, having exhausted all forms of traditional medicine, while others opt for an alternative to what they consider invasive surgery. Whatever the reason for seeking psychic surgery, there is a big risk when opting for this type of alternative solution exclusive of traditional medicine. Some psychic surgeons openly advise those seeking their help to not abandon traditional medicine. There are people who believe the two opposing forms of treatment can work in unison to help them. However, there are many psychic surgeons who prey upon those suffering from illnesses and diseases and discourage them from seeking or continuing with traditional medicine. This type of fraud preys upon the person's desperation and drags out the treatment with expensive visits. Whether psychic surgery is real, there are numerous people claiming to be psychic surgeons who are blatant frauds. According to Patrick, the spokesperson for Psychic Surgeon Laurence Cacteng, there are just a few authentic psychic healers to be found in the Philippines. Patrick states this means a large percentage (nearly 95%) of the self-proclaimed healers are Charlatans or as he calls them, magicians. Certainly, there have been many documentaries and news reports of such fake healers being caught. Another form of psychic surgery and healing is psychic dentistry. The claims for this type of psychic healing include a bad or broken tooth becoming whole once more and cavities filling in for a restored healthy tooth. Some claims even include entire sets of teeth being restored to the elderly. The risks with this kind of psychic surgery or healing are similar to that of other psychic surgeries. Unattended decaying teeth can become abscessed and infection can travel to the bone, causing ongoing and even life-threatening problems. When you understand the possible risks of psychic surgery, you can make better informed decisions about your health. Always continue your traditional medical treatments and vet anyone you consider prior to committing any money for such treatments.